The United States Navy's largest overseas fleet is coming off a troubling year: five accidents, 17 sailors killed, leaders summarily dismissed. And on Tuesday, a military spokesperson said the Navy will convene court-martial proceedings against sailors tied to two deadly collisions last year. The spate of collisions involving the 7th Fleet, based in the Japanese port of Yokosuka, has alarmed allies, emboldened adversaries and raised urgent questions about American military readiness at a time of heightened tensions in the Pacific, experts say. "What we have done is discourage our allies, who have always looked up to the U.S. Navy in the post-World War II era as the competent professionals in the Pacific," said retired Adm. James Stavridis, a former head of NATO and an NBC News analyst. "That reputation has been damaged significantly, and we have to rebuild it." 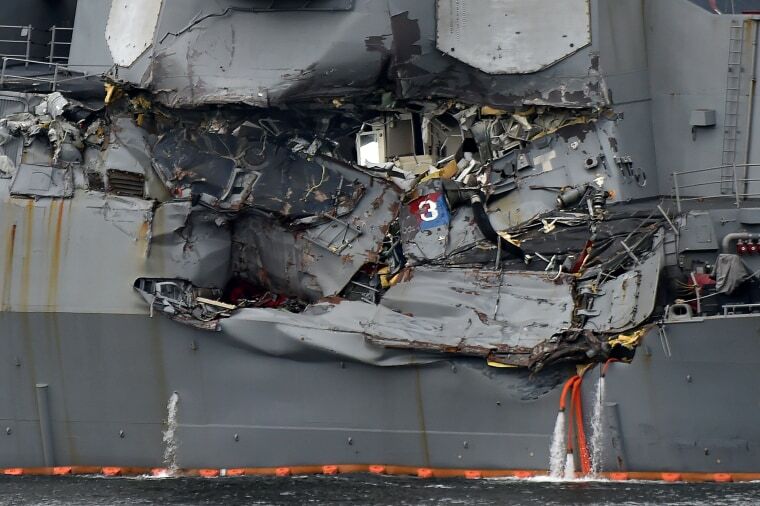 In a report issued last November, the Navy concluded that the two fatal crashes were avoidable, stemming from pervasive failures by crews and commanders alike. The incidents have come at a particularly perilous moment in the Pacific, where U.S. armed forces confront a belligerent nuclear-armed North Korea and an increasingly assertive China. Japan-based experts said the collisions have left hard-to-shake worries about the U.S. Navy's ability to push back against the North Korean regime and its unpredictable leader, Kim Jong Un. Notably, two of the warships involved in incidents last year, the USS Fitzgerald and the USS John S. McCain, are destroyers tasked with defending against ballistic missiles fired by Pyongyang. "Now they are out of service so we have to wonder whether the U.S. can maintain an effective missile defense position in this region," said Tetsuo Kotani, a maritime security researcher at the Japan Institute of International Affairs. The rapid expansion of Chinese military power, particularly its fast-strengthening navy, represents another challenge for the beleaguered U.S. Navy command. The U.S. is particularly concerned about the Chinese territorial claims in the South China Sea, which U.S. officials see as an attempt by China to assert military dominance over the region. "When viewed in the context of the larger shift in the balance of forces and influence in the region and beyond, the accidents are unhelpful," said retired U.S. Marine Col. Grant Newsham, a senior research fellow at the Japan Forum for Strategic Studies. Newsham added he did not expect that the accidents would damage relations between Washington and Tokyo, "except to the extent they add to Japanese concerns that the U.S. is being outdistanced" by China. The collisions led to the commander of the 7th Fleet, Vice Admiral Joseph Aucoin, to be relieved of his post. Rear Adm. Charles Williams, the commander of Task Force 70, and Capt. Jeffrey Bennett, the commander of Destroyer Squadron 15, were also relieved of their duties. The embattled 7th Fleet has been strained by unrelenting demands and insufficient training, leaving it vulnerable to mishaps, lawmakers and outside experts have said. In recent years, as the U.S. armed forces scrambled to keep up with high-stakes challenges in the region, naval leaders apparently did not speak up when they discovered deficiencies with ships, according to Stavridis. "It's incumbent upon leaders to turn around and say that a ship is exhausted or needs some downtime," said Stavridis, who is currently the dean of the Fletcher School of Law and Diplomacy at Tufts University. "And leaders pushed their officers too fast, in a way that didn't allow them to develop basic seamanship and navigational skills." Navy leaders and members of Congress, alarmed by the state of the Pacific fleet, have also pointed to nearly a decade of budget constraints. At a Senate Armed Services Committee hearing last September, some members pinned responsibility for the accidents on Congress, which has leaned on stopgap spending measures over the last eight years. Stavridis said he was heartened by the action the Navy had taken to address the issue, saying the department had "applied ruthless accountability." "But we never should've gotten here," Stavridis added. 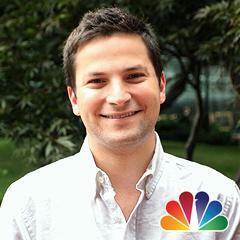 Daniel Hurst is a Tokyo-based journalist.